Planning Your Perfect Bridal Look – What Comes First? Your wedding day is the most important day of your life, so it’s no wonder deciding how you’re going to look can be tough! There are so many different styles to choose from and we all have different tastes, so when you’ve narrowed down your favourite bridal look where do you start with making it happen? 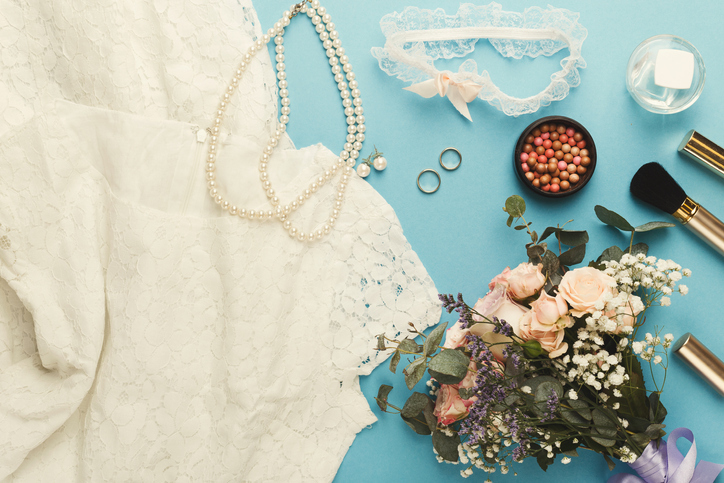 Wedding dress, jewellery, hair accessories, bridal hair & make-up, bridal bouquet…there’s lots to think about, so we asked some of our fabulous supplier friends for their advice! Make-up’s easy, that will go with anything…right? Can’t I just buy bridal accessories as and when I see them? “I know it might be tempting when you’re walking down the high street and there’s a sale on hair accessories but please honestly, stop yourself and ask, how do I know if this will go with my dress? The answer is you won’t unless you have found ‘the one’! What about my wedding bouquet? “Usually when a florist meets a bride, she has already purchased her bridal gown. A florist will ask specific questions such as colour and type of dress fabric (this can be matched to the bouquet handle). If a bride has found a florist she wants to book before purchasing her dress, then this information can be passed onto the florist later on, once the dress is found for the big day! So there you have it ladies, your dress is definitely the place to start! When you’re ready we’d love to help – and when to start shopping is a whole other topic we’ve covered here – don’t forget to get in touch with our wonderful supplier friends too!